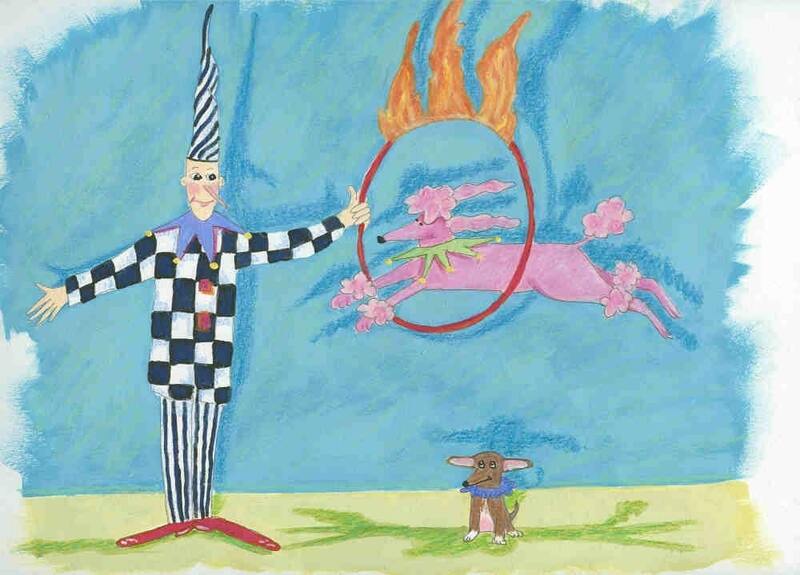 Fifi the amazing fuschia-colored flame jumping poodle is here to entertain you! Her little chihuahua friend is NOT impressed! This quality-made card features a fun and festive scene! Fast fast shipping! This will make a great birthday card for my boss tomorrow. These cards will make any card person very very happy. They are fabulous and so is the seller! Fun design ! Great quality ! Thanks again for some fantastic cards. You know I'll be back!